Synthetic Ecology (SE) is an autonomous platform devoted to screening contemporary artists’ moving image, hosting events and creating opportunities for artists that push the boundaries of digital territories, geopolitics and ecological thought. SE aims to engage emerging and established artists from different cultures and communities, connected by a sensitivity to bridging ecological thought and technological socio-political issues. SE is critical of ecological and environmental art being inaccessible and un-relatable to contemporary experimental artists’ practice, and therefore aims to form a critical and shifting platform for ecological research and artist’s moving image. In our first iteration, Synthetic Ecology will host a two day festival of contemporary artists’ moving image screenings, talks and peer-to-peer professional development workshops for selected artists. Curated by Mikhail Karikis, Lydia Heath (O N C A) and Louis Joe Sainsbury. 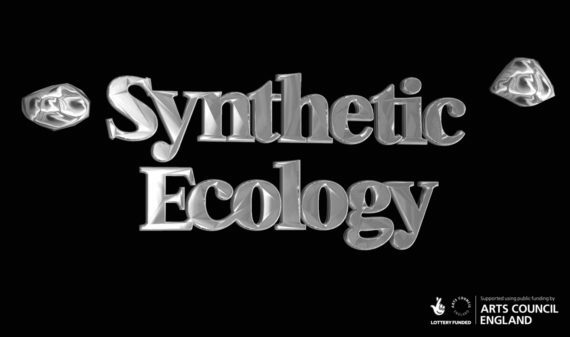 Synthetic Ecology is an artist run project in collaboration with O N C A Gallery, funded by the Arts Council England.